When exploring the enchanting city of Giza and the pyramids bring your great sense of fun and adventure. A tour involves a lot of walking into the desert and a chance to interact with the locals (Berber). The state of preservation is amazing and a visit to the interiors and some open ruin sites require physical agility and strong lungs to endure the mix of cold and humidity in the desert at certain times of the day. Even so, there are many travelers who flock to Giza City to see and admire this iconic monument of ancient human civilization. This is simply one of the few true marvels of Egypt that everyone must try even once in a lifetime. The climate is the defining element when planning a holiday adventure in Giza City. It's generally hot and sunny for a large portion of the year and there's very little use for an umbrella. The cold winter season comes around from November – February and it is usually mild despite the fact that in Giza, the temperature quickly shifts from hot to cold as the evening breeze approaches. In the peak of the summer months the temperatures achieve a normal of 35 ° Celsius as the rising humidity affects the weather so much making a tour of the pyramids and the old sights is highly not advisable. But if you can’t be discouraged and wants to proceed with a tour during the most inconvenient time of the year, then book a hotel with a built in pool in the city and tour only the indoor attractions more. Here are the important places to check out and exciting things to do when in the City of Giza. The context of the three great pyramids is truly fascinating, plus in the distance you can see the city of Cairo. Wear comfortable clothes and shoes and bring lots of drinking water if you plan to visit all three attractions within the same range. It is not recommend for people who suffer from claustrophobia to enter the tunnel of the Khafre’s Pyramid. The visit lasts half a day and is more than enough to see them all three. It‘s a wonderful reality, a magical place that seems out of time. Words are not actually enough to describe the emotions you will feel at the sight of this wonder of humanity. At night there are light and sound shows arranged by the tour operators to delight and amuse every visitor. The pyramid is the second largest attraction of the Giza Plateau and the whole Egypt. It looks magnificent from the outside, and it is worth going in because unlike the other two, this tunnel has a much more insidious charm and therefore more attractive: At the first 50 meters you go down into a tunnel where you walk sagging, then another 50 meters to hurdle to reach the top floor, then go back in the same conditions of the first section until you get to the hall of the Sarcophagus. Nothing special can be found here but the idea of being in the middle of the pyramid puts chills in the spine. The Great Pyramid of Cheops (Khufu) is the largest of the three pyramids in the Giza plateau, but not the only one to be admired. It is impressive and you will be in awe of the amazing perfection of these constructions in the middle of the desert. The Pyramid of Cheops Giza is the only one of the seven wonders of the ancient world that is still in existence and this alone makes the place more exciting. Cheops is majestic and is known as the Great Pyramid, its base measures at 230m and its height was originally measured at 146 m.
The overall structure consists of a huge amount of limestone blocks (about 2,300,000). It is possible to visit by entering a tunnel carved into the base that connects to a passage lit by a dim light that evokes an atmosphere the old times. The steps of the stairs are actually twice the size of an ordinary individual. The transition proceeds in a corridor so low that you almost have to crawl on hands and knees to get to the heart of the pyramid. At the final part you will arrive in the chamber of the queen. They are indeed breathtaking and the only downside of the attraction is you will get surrounded by guys who want to sell souvenirs and are quite insistent. But in totality it is a majestic show that is overwhelming and hard to forget. For some tourists the Pyramids of Dahshour is one of the most exciting pyramids in Giza. It is a site of particular importance not only for the historical period (the pyramids date back to the Old Kingdom before Giza) but also in terms of architecture. It is in fact one of the first attempts to build the pyramids as how it was always known, marking the transition from the pyramids that are stacked to form a smooth and tapered edge covered with limestone like the other two famous pyramids. The rhomboidal pyramid of Sneferu (father of Cheops) demonstrates that not always the Egyptian architects were infallible; its particular form is in fact due to a calculation error in the slope that has forced manufacturers to correct and reduce the tilted position it has until now. The Red Pyramid is spectacular and can be visited inside. You can see fantastic vaulted rooms that open after a series of narrow tunnels. The smell is heavy (a strong smell of ammonia) but at the bottom you can find windows that have not been opened by more than 4000 years. Another plus, it is not as crowded as the other two, you can explore the pyramid in silence, and with no street vendors that will annoy or follow you around and insist to buy their souvenirs. A visit to the Great Sphinx is part of a tour called the "Pyramids of Giza" but it is not located in the middle of the desert but very close to the city center. As part of a trip to the pyramids - photo next to the Sphinx is required. So bring a good camera and take lots of pictures that you brag to your friend when you get home. The Sphinx breathes mystery and antiquity and tourists from all over the world come here to admire its splendor. It is interesting to look at this attraction, especially if you are familiar with its history. It is one of the symbols of Egypt and the mystery of the riddle itself adds to the charm of this famous landmark. The Sphinx seems to contain itself with its imposing presence mysteries that were never revealed and despite all the attacks and debates received, both man and nature has endured for thousands of years continues to amuse everyone in all its elegance and grandeur. The” Guardian of Giza” is absolutely amazing and a definite must see when in Giza City. While it cannot be touched, it still dominates the crowd with his enigmatic air. A fascinating place that remains magical and mythical even after more than 4,000 century old. The Grand Egyptian Museum is one of the priorities on the list of things to see when visiting Giza. It would take at least a week to see it entirely but a short visit can also allow you to peek at the largest archives in the world with more than 120,000 ancient Egyptian artifacts. There is a colossal statue of Ramses II and of course the most popular of the treasures of the museum and that is the treasure of the tomb of the boy pharaoh Tutankhamen (you’ll never see such a huge amount of gold!). There is also the spectacular hall of mummies, where there are 27 well-exposed sarcophagi. The first floor is dedicated to the findings related to the old kingdom. The statue of the colored scribe is really very beautiful, along with the groom with a mustache. You can also see the death mask of Tutankhamen. It is worth a full day to see all the parts carefully. There is not much information and markers made available beside every displayed exhibit. It is advisable to make a thorough research online before making a visit. The mummies are eerily preserved and one of the most visited part of the museum. There is no air conditioning and photography is not permitted. The Cheops Boat Museum is located in an ancient building along the premises of the city center. The funerary boat is one of the most interesting finds throughout the Pharaonic age and the oldest boat you can ever find in the world. You will be surprised by the size, the complexity of the structure, the accuracy of the restoration and the well-documented stages of restoration. It's amazing how well preserved this piece of ancient shipbuilding is presented. Especially when you consider that the boat is more than four thousand years. The helpful staff explain everything very well with photos and text about the old boat that is the main highlight of the museum. Upon entrance, you will be given a foot rag to cover your shoes to avoid damaging the flooring you walk to see the boat. The museum actually houses one of the two solar boats that was available to the Ka of Pharaoh Khufu; the second boat is still being restored by a team of Japanese archaeologists. The boat is extremely impressive and the museum stands next to the pyramid of Cheops. Don’t forget to visit and check out both of these interesting attractions in Giza. If you want to sleep in a museum, you must go to the Oberoi Mena House. It’s a fabulous resort near the Pyramids. It offers an atmosphere of great luxury, privacy, and exceptional hospitality. 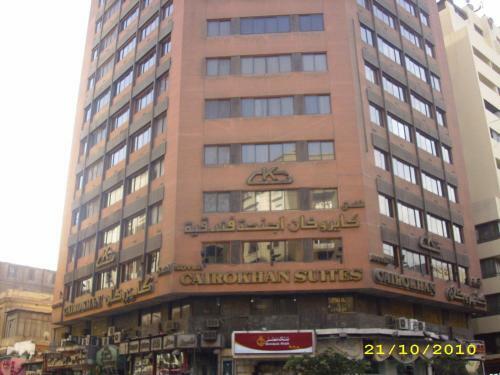 It is a very old hotel that was only accessible before for the rich and famous of Egypt. But now it is no longer as limited and certain costs for an overnight or daily stay is made more affordable. But it's like visiting a museum and have the privilege to be able to sleep and enjoy its amenities. The chandeliers and all the furniture is antique. Just like the pyramids, which is just a stone’s throw away from its location, it is also of extraordinary beauty and pays attention to every little detail. The staff is qualified and the service is highly impeccable and you are guaranteed of an excellent stay in the city. The Meidum Pyramid is the separate pyramid of Khufu's son. You can enter and explore this work of Egyptian art through a narrow hallway that leads to the chamber where the sarcophagus are mostly located. It is stunning and entirely different from all the other pyramids in Giza. It is located between the El Fayum road and the city of Mynia. The Meidum Pyramid is often unjustly forgotten by most traditional tour companies, but, it offers a very interesting example of different construction from the most famous ones in Giza. It is shaped in quadrangular and surrounded at the base by debris, giving rise to different interpretations but the inside of a building is interestingly built of basalt and there are sarcophagus to observe outside this unpopular pyramid in the city. It also provides a very nice hike in the desert similar to the charm of Dahshur. This is the second pyramid built after the Sakkara and before those of Dahshur, made with a few steps and then coated but now has only the inner part of the pyramid while the exterior is clad entirely collapsed along with parts of the material around its construction. Inside it is very characteristic and entirely different than the other prominent pyramids that were earlier built. Dr. Ragab's Pharaonic Village is an ideal tour for the whole family to explore. It has reproductions of the main Egyptian monuments. But for the kids it is great also because it was built for educational intent. The journey starts with a boat ride and an opportunity to see up close the Nile and the typical flora and fauna of Egypt, which are present to create a kind of mini oasis protected atmosphere in which they are displayed for the first major monuments (such as Abu Simbel) in small-scale. Then scenes of everyday life in the times of the ancient Egyptians; this section is extremely interesting. Afterwards there is a land exploration and a guide showing the reproduction of a temple (made in plastic but very educational), a house of a farmer and a house of a nobleman, with explanations on their lifestyle as provided by the resident guides of the Pharaonic Village. Then there are the so-called "museum" tour, many of which are a collection of memorabilia or models, but some of them are very interesting, especially the one about mummification and the construction of the pyramids. The tomb of Tutankhamen is rather fabulous, very well done and helps you better understand what you will see later in the museum itself. Furthermore, in the actual museum you cannot take pictures, so this is your actual chance to photograph the (fake) mask of Tutankhamen. Dr. Ragab's Pharaonic Village is strategically located on the bank of the famous Nile River. It is promoted and presented as one of the most interactive way to understand how significant Egyptian culture is. The show is divided into two locations where you will visit part boat tour and mainland tour. Tourists are particularly interested on the huge theme park that is dedicated to the life and times of the ancient Pharaohs. You get to see a small museum, a children's playground, some nice copies of Egyptian temples, and a wide variety of dining options. The most impressive part is where you can see dozens of actors perfectly dressed as ancient Egyptians, in environments filled with rocks and sceneries entirely rebuilt on the bank of the river. It is very magical and poetic especially the flora at this point where you can see many species of plants that looks really magnificent. You can also do some bird watching because you'll have the chance 'to closely observe many different species of birds that nest along the banks of the River Nile. A visit to Giza is like living another dimension, especially around the Land of the Pyramids. There are and probably always will be many debates on the subject of the method of construction of the pyramids, but the thought that thousands of human hands have worked with such precision and perfection cannot fail to fascinate. After this, go and see the Sphinx, another timeless masterpiece that posses a truly incredible artistic charm of its kind. The pyramids have always been studied on school books and you got used to seeing them in the billions of photos, but being at the foot of these majestic works of art creates a strange and strong emotion. It’s like living a childhood dream and seeing that dream come true while visiting the majestic pyramids and the City of Giza.